Q – I have a 13 year old Mustang /Paint cross horse that I adopted 6 years ago from a local rescue. Through x-rays we recently discovered he has a tiny bone spur on his left stifle & extensive arthritis. While he is not a performance horse, we do love him and hate him being in pain and he and my daughter had finally gotten to the point that they were starting to do dressage and some local shows. . I’m trying to find out an estimate on how much it would be to have it removed. I appreciate any information you can provide. Do you have any products that you think might be able to help him? A – I would consider a product called Ani Motion. If you don’t see a change within 60 days then you may need to consider surgery. I don’t know what the cost would be. Another possible help would be the injection of platelet rich plasma into the joint to support stem cells in the area. Q – I believe my horse qualifies as a water horse. In addition to having Cushing’s, he has lung/breathing problems, restricted airway according to our vet. A – It is possible for a Water horse to have lung issues secondary to weakness in the kidneys. 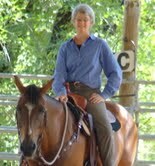 You may want to look at the Water Horse formula at www.horsetemperament.com. Also look on the site for the best way to feed a Water horse if you have not already looked at this. This entry was posted in Five Element Feeding, Horse Health Care and tagged feeding horses, holistic horse care, holistic horse health, horse, horses on October 22, 2016 by Madalyn Ward, DVM.